Happy New Year, Mr. Hien. I’m also very happy you decided to share these wonderful images. Thank you Takami! Happy blogging and photographing in 2019! I’m also happy that you decided to share these excellent images with the rest of the world! They’re all great, but I especially loved the egret, blue jay, and cosmos. 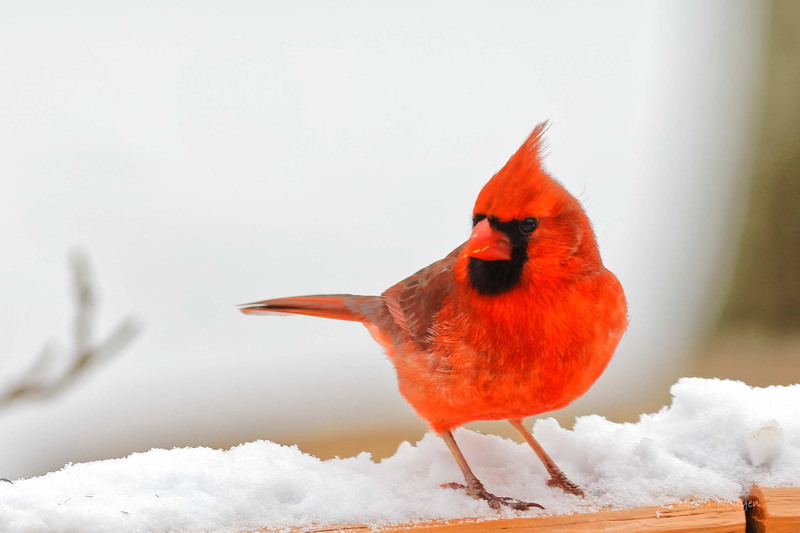 I’m glad you put this together – especially for that hungry Blue Jay – so funny! And the beautiful egret, and the sweet Mallard family. Have a creative and fortunate New Year! Oh wow!! Such beautiful photos! I especially love the photo of the Great Egret – just by looking at it I can almost feel a breeze and hear the water in the background! Thank you! 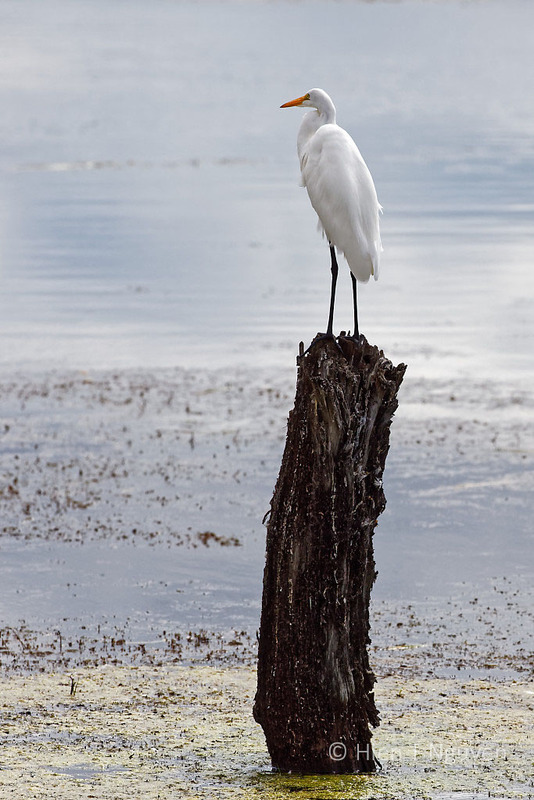 That egret looked very handsome on top of that tree trunk. 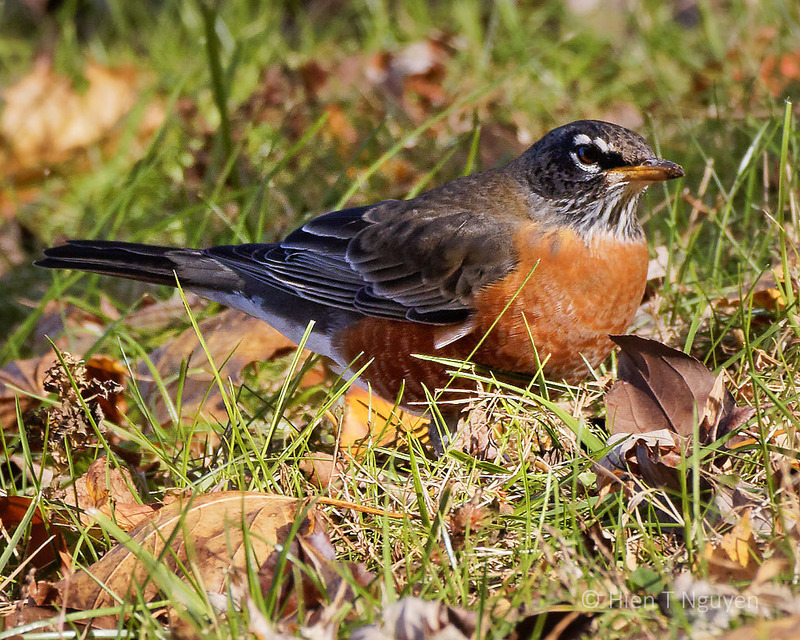 Lovely photos, your American robins look nothing like European ones. Cosmos is one of my favourite flowers. 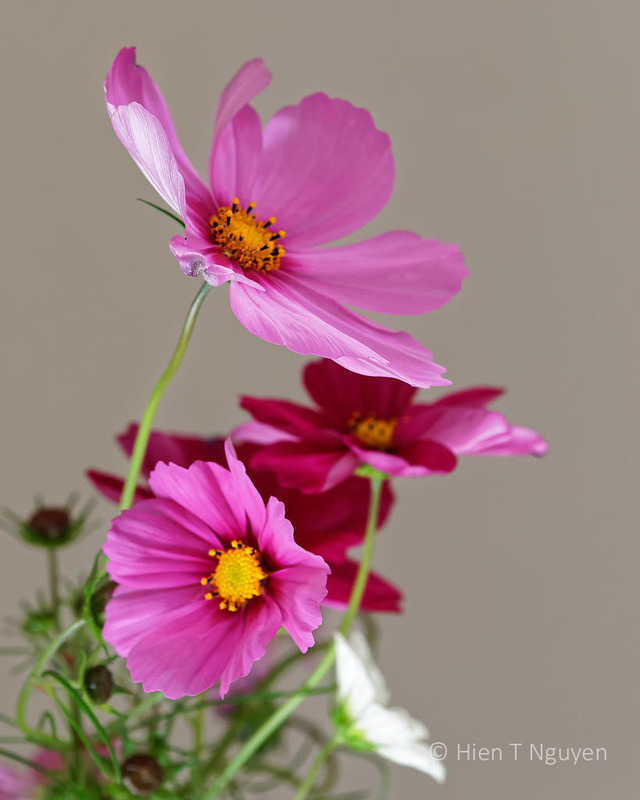 When I got married I had a posy made up of Cosmos flowers grown on my father’s allotment. Wow! Cosmos are my favorite too. I try to collect the seeds at the end of summer and regrow them the following year. This is a fantastic idea – to share photos that were somehow overlooked throughout the year. Yours are wonderful! All lovely photos. Birds are so tricky to take photos of; you’ve done a great job. That cardinal really takes my fancy! Thank you! Be sure to check out the 2019 cardinals. All winners too!! I like them all but gravitate towards the white egret looking out to sea!! 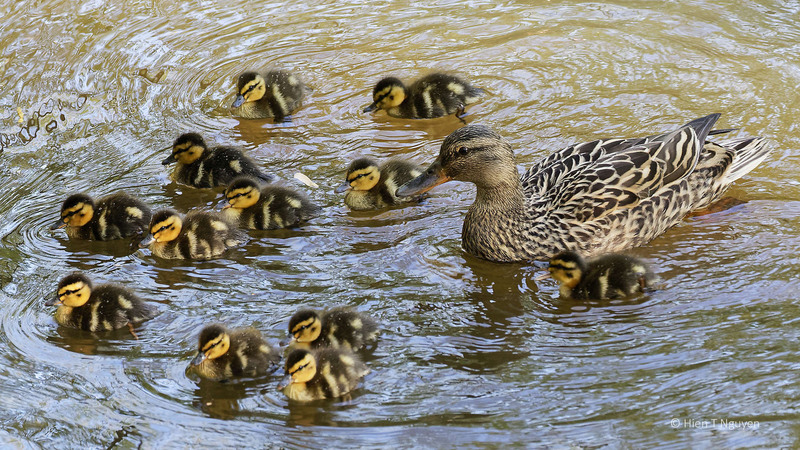 And those little ducks are so cute!! Happy 2019!! These are wonderful, Hien, so glad you shared them. The ducklings are adorable! Wow, these are definitely worth showing! Happy New Year! Thank you Chris. I am glad you agree! 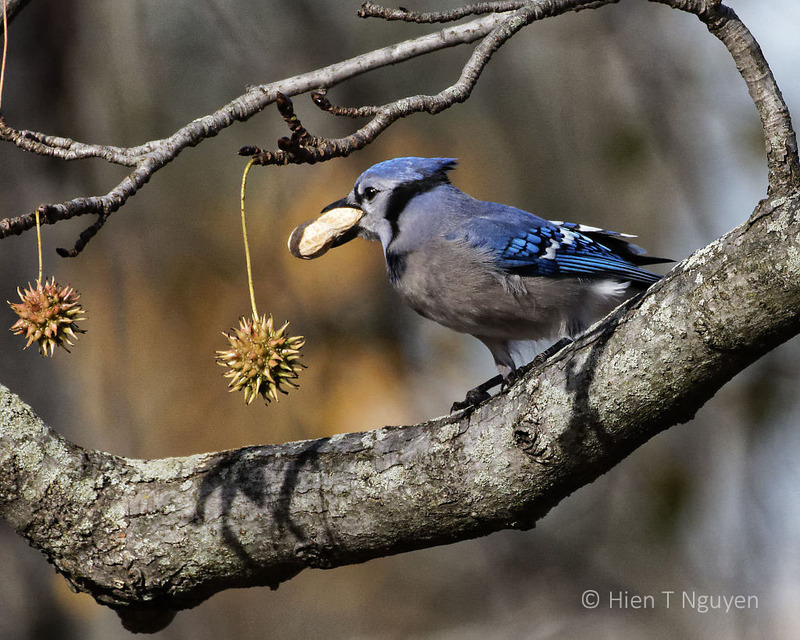 The blue jay and the sweet gum tree balls is great work. Thanks. They are all fantastic. Thank you MZ and Cho! Thank you. I am very glad you posted these!